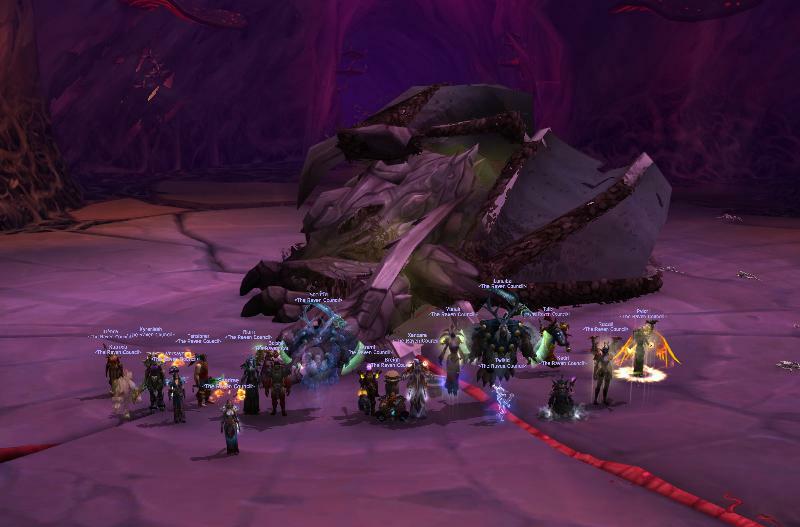 Nighthold - 10/10 HC and 1/10 Mythic so far! So, Nighthold is going quite well! 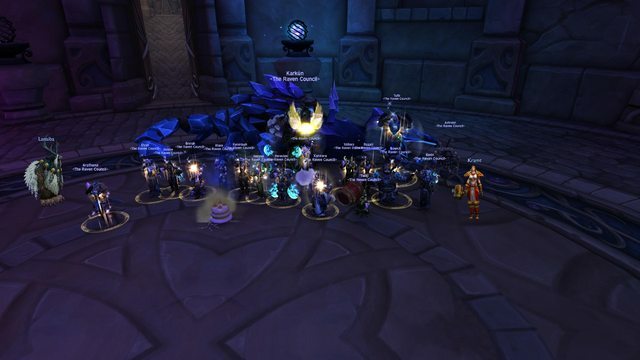 Heroic is cleared and Skorpyron Mythic went down after a couple of pulls, most likely due to CAKE. 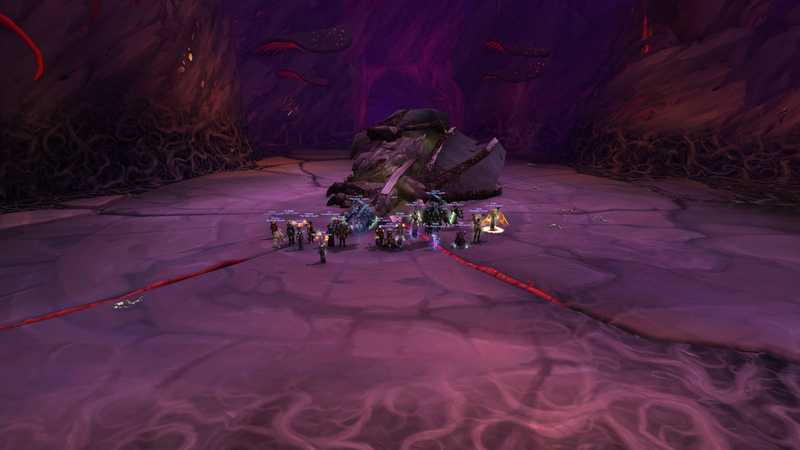 Again, super slow with screenshots here.. but woohoo, Odyn was killed last week! 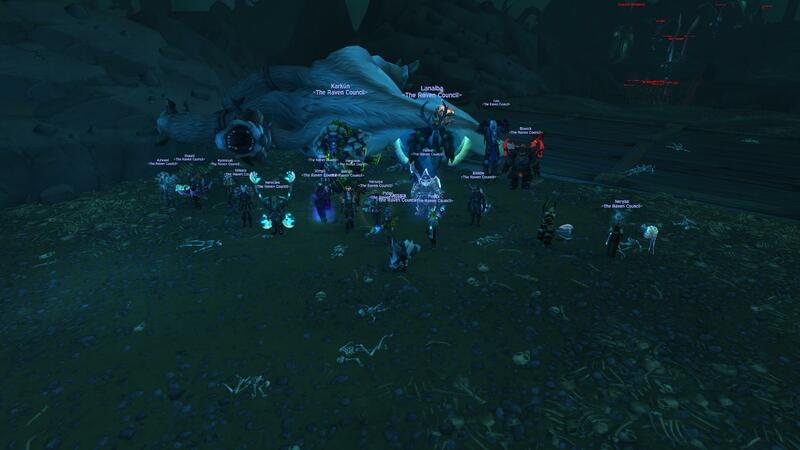 And Guarm was slain tonight! 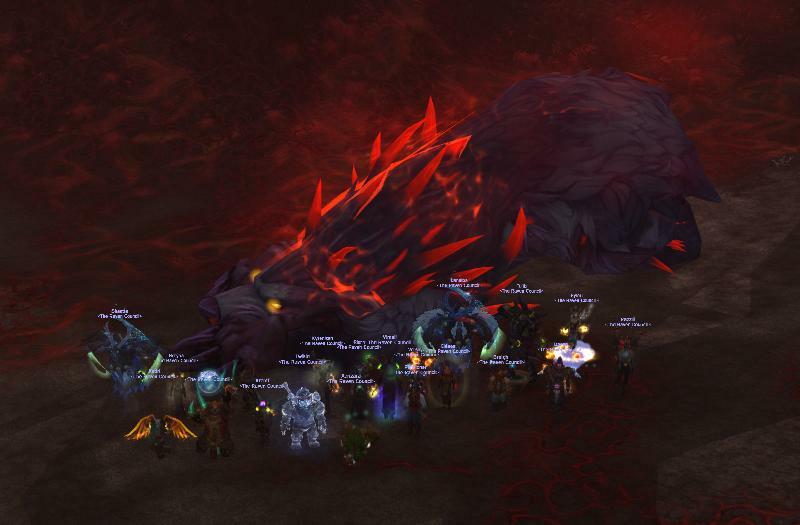 Emerald Nightmare - 5/7 Mythic! So the Sleepy Dwagons were actually slain a couple weeks ago.. ..But the Evil Eye was freshly squashed just last night! Come git yer smoothies! 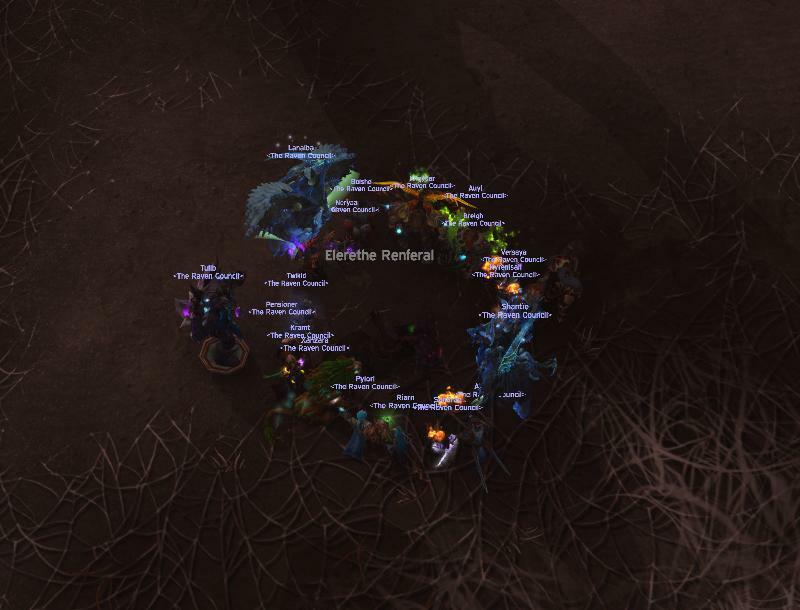 Next up, Cenarius! He's meant to be a total push-over, right..? Long time no update, oops! We've all been busy sleeping, dreaming, fighting off nightmares, etc! 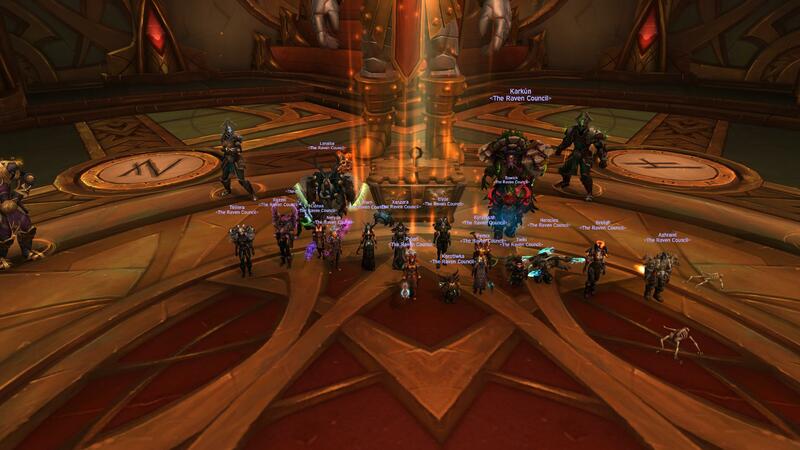 Thanks for everyone's participation in the new guild name poll! But luckily, it was obviously all an APRIL FOOLS! No insane merger! Sorry guys. This has been brewing for quite a few months now.. Some of you may have heard the rumours already - It's been hard to keep things under wraps entirely, but we appreciate everyone's discretion so far. 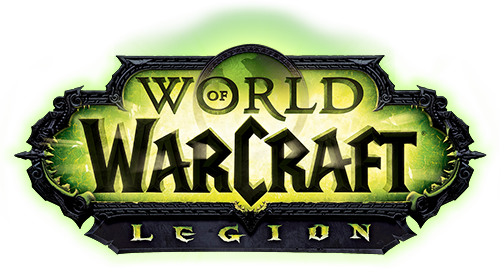 Now however, the suspense is finally over, and we're excited to reveal the beginnings of our grand plans for Legion! So, it's been over 10 years of The Raven Council, and frankly it's time to change things up a bit. We've had an opportunity for a very special arrangement, that will hopefully expand our horizons and offer new avenues of fun, engagement and competition from the guild. 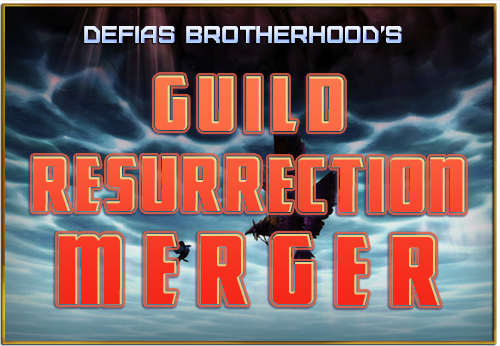 The remnants of three old & majestic Defias guilds are rising from the grave in the form of an almighty guild merger, with us! Yes that's right - Joining us will be the likes of <Kingsfall>, <Dominion>, and <Stormwind Regiment>. This merger will bring together top caliber raiders, world-feared PvP champions, and highly respected roleplayers, all under one banner- Ours! 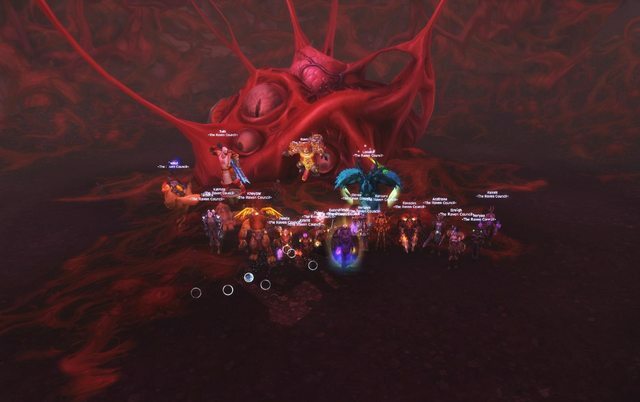 As part of this arrangement we felt it a fair and generous gesture, to take the exciting chance for a change of guild name! We have many solid ideas for names, and our first big objective with this announcement is to bring the task of choosing one, to our loyal guild members! 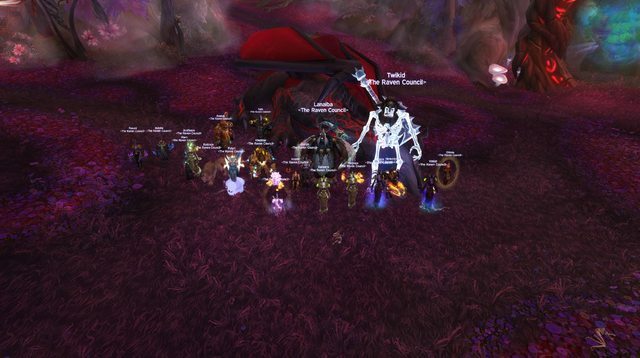 We think it's a great opportunity to pick something fresh, attention grabbing, and relevant to the state of modern World of Warcraft. Please check out the options above, vote for your favourite and if you have any particularly strong feeling about your choice please explain your reasoning. Some are serious and some are fun, but whatever is voted highest will stick! Also if you have any brand new suggestions, just post them here and we'll see how people like them.